Frank Schwindel's two-run single in the top of the 10th inning carried the Omaha Storm Chasers to a 6-5 win over the New Orleans Baby Cakes in Monday afternoon's season finale. Schwindel, who also set Omaha's single-season franchise record with his 38th double in the first inning, put the Storm Chasers in front with his bases-loaded single in the 10th. The Baby Cakes came back to score a run in the bottom half on Peter Mooney's RBI infield single, and had the tying run at third with one out. But Richard Lovelady struck out Chris Bostick and got J.B. Shuck to fly out to left to record the final out and his sixth save of the campaign. For the second game in a row, Paulo Orlando provided Omaha with an early lead by smashing a three-run homer in the first off Dillon Peters. The Storm Chasers tacked on a run in the fourth when Donnie Dewees led off with a double and scored on a sacrifice fly by Elier Hernandez. 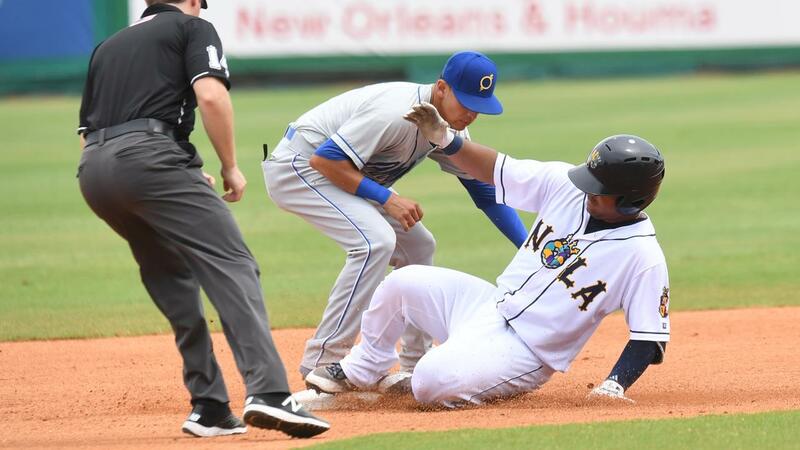 New Orleans put at least one runner on base in each of the first five innings but was unable to dent the scoreboard until the sixth, scoring a run on a bases-loaded double play grounder by Chris Diaz. The floodgates finally opened an inning later, when five 'Cakes singles led to three runs, including a game-tying line drive by Tomas Telis. 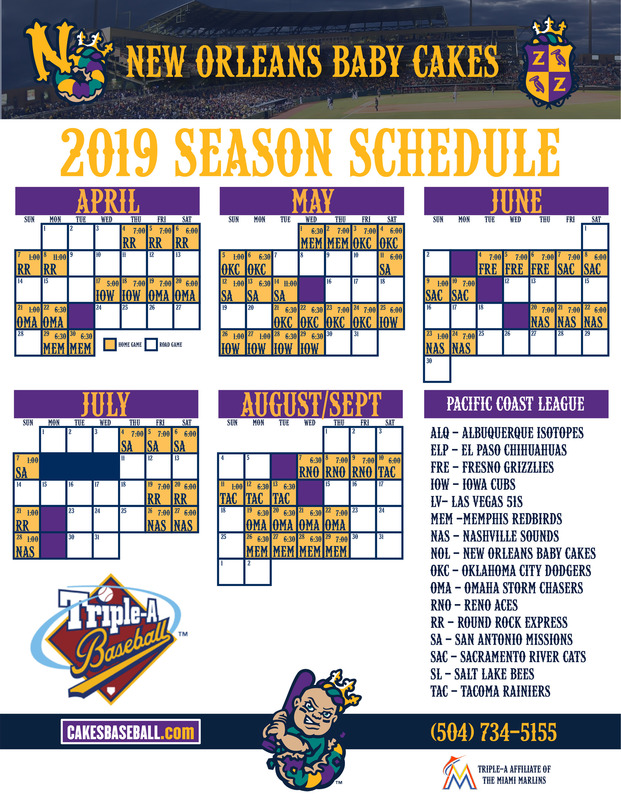 Both teams stranded a pair of runners in the ninth inning to force extra innings, the league-leading 20th time this season the Baby Cakes went to extras. New Orleans piled up 17 hits on the day, but finished 5-for-19 with runners in scoring position. Jose Quijada (2-4) was charged with the loss after allowing the two runs in the 10th. He walked three and surrendered one hit after Peters and Mike Kickham combined to retire 15 consecutive Storm Chasers from the fourth through the eighth innings. Zach Lovvorn (2-6) got the win after suffering a blown save in relief of starter Jake Kalish, who scattered eight hits in five innings. The Baby Cakes finished the season 69-70, one win shy of the team's second winning record in the last 11 years.